A savvy principal has taken Jahn to new heights! Located at the corner of Belmont and Wolcott in the Roscoe Village/West Lakeview neighborhood, many families enjoy the pleasure of walking their children to this neighborhood school! At Jahn, kids enjoy not only a rich academic curriculum but also a focus on fine arts which includes visual arts, music and dance. Search homes within the boundary lines of Jahn and take a tour of this fantastic school! 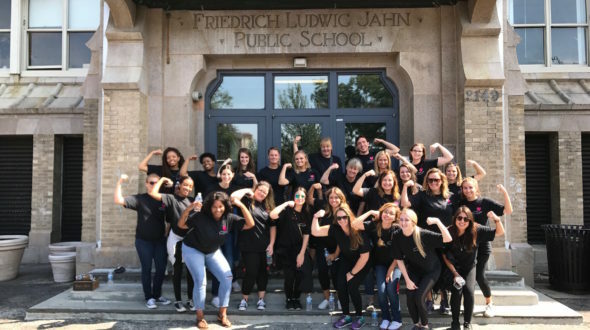 At Jahn Elementary of the Fine Arts, they strive to meet the needs of all students academically, socially, and emotionally through a welcoming and equitable environment. Their instruction and staff will honor problem solving, creativity and engagement and promote high order thinking and arts integration. They endeavor to build a safe space for all students to express their individuality and take risks in order to grow into lifelong learners. Through nurturing relationships they share a collective responsibility for the growth of our community. Please join Jahn for a tour! Tours are offered every Wednesday at 8:30am during the school. If this time and day do not work for you, please contact Margo at the front office at 773.534.5500 to set up another time to visit. My place is to build relationships with students, families, and staff in order to provide high-quality and engaging instruction to all students. I enjoy building relationships with students, families, and staff in order to provide high-quality, engaging instruction to all students.